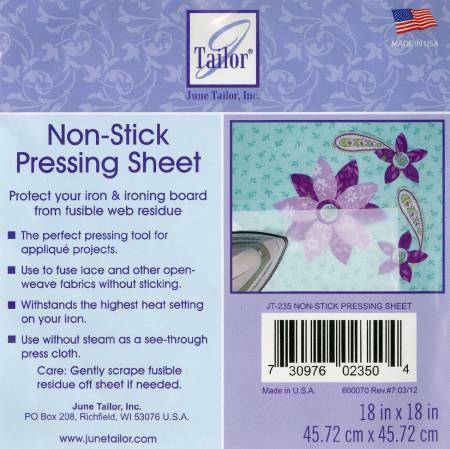 Protect your iron and ironing board from fusible web residueUse to fuse open weave fabrics & lace without sticking.Withstands the highest heat setting on your iron. Usewithout steam as a see-through press cloth. Gently scrapefusible residue off sheet if needed.